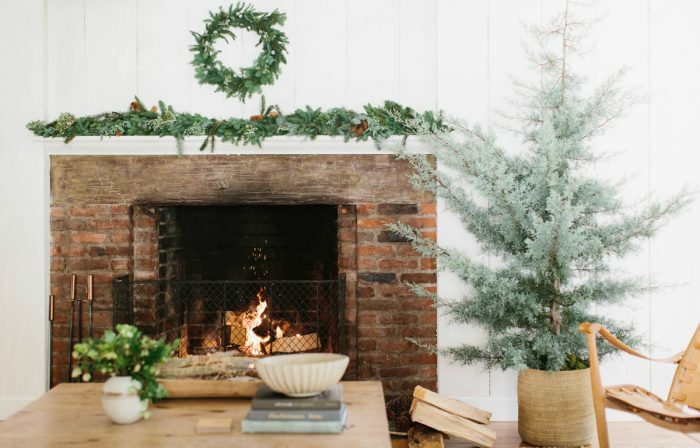 Holiday wreaths are a lovely way to bring a bit of the outdoors in and make the home both festive and fragrant. 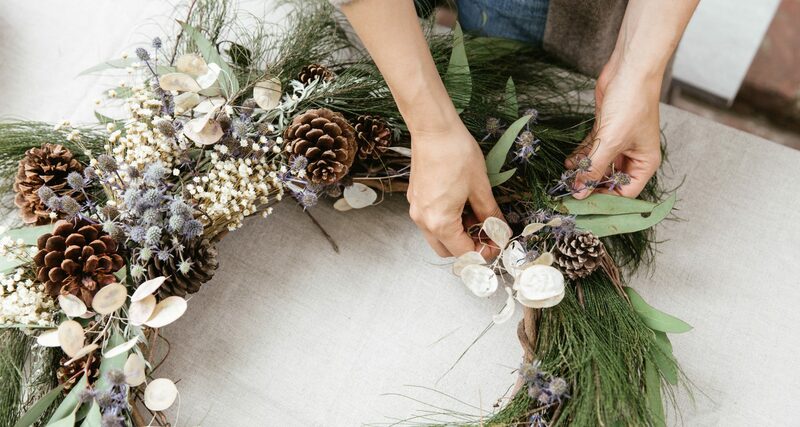 Once you get the technique down, you can make wreaths a year-round project by simply switching out the seasonal components. 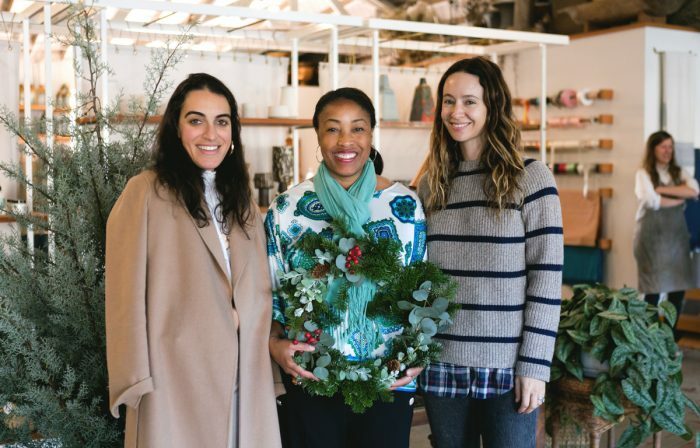 Read on for tips and tricks from one of our favorite floral artists, Ren MacDonald, on making a wreath of your very own or stop by any of our stores to purchase a wreath made by our favorite local florists, while supplies last. 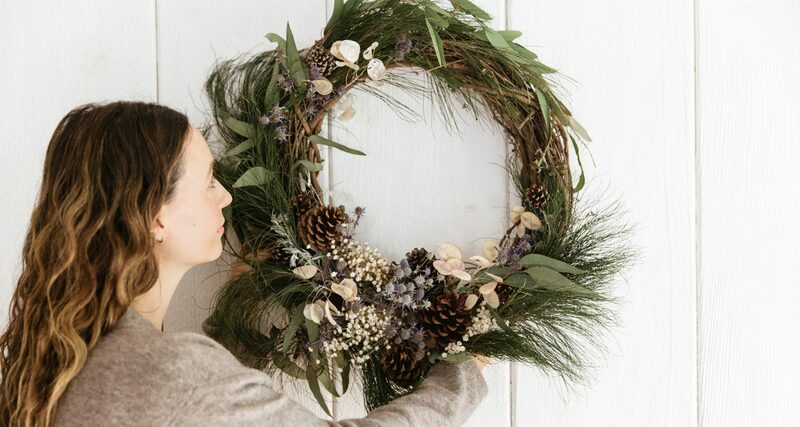 A balance of shapes and proportions will give your wreath dimension. 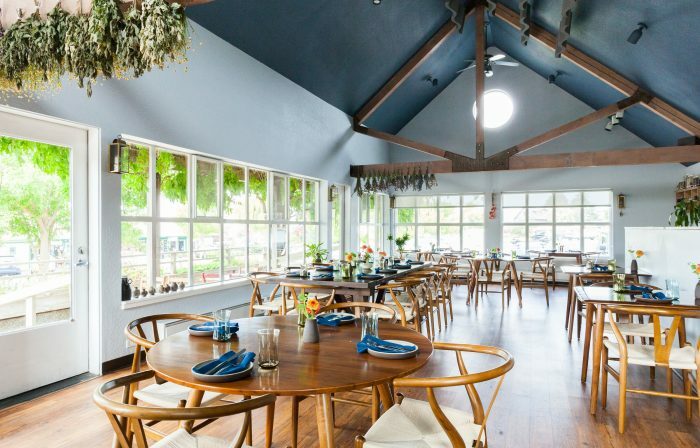 Think simple greens. Here, Jenni used eucalyptus leaves and pods, ironwood, dried starflower, blue thistle and dried lunaria. 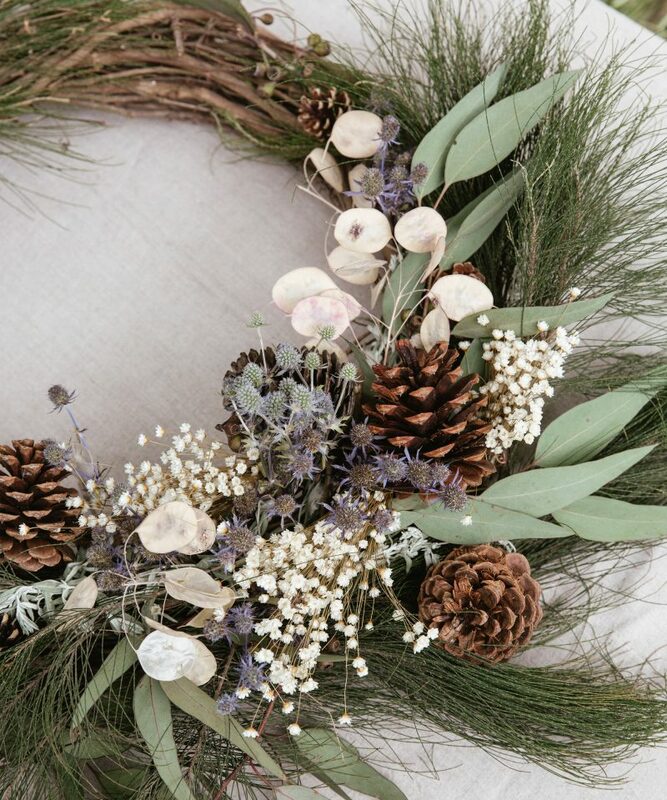 Dried flowers add a delicate touch to the hearty branches and leaves, and sugar pinecones lend a bit of texture. The choice is yours but keep it to two or three types of foliage, one or two blooms and one focal point. Make sure you have enough room to work. 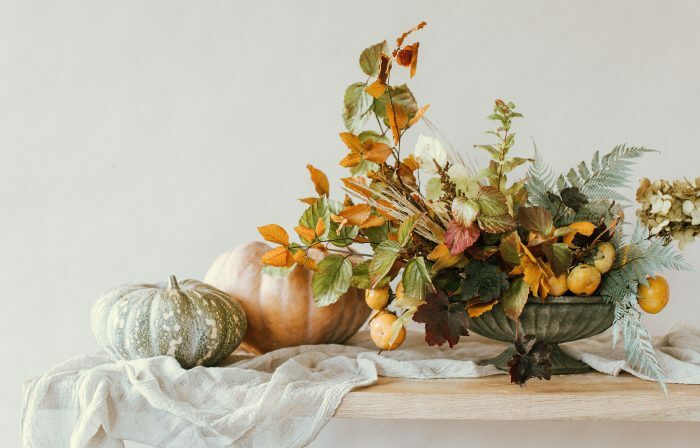 You’ll need a good pair of floral shears, a grapevine wreath base, dark green or brown floral wire, and (optionally) clear floral adhesive glue. You can find all of these at your local floral shop or hardware store, in the gardening aisle. 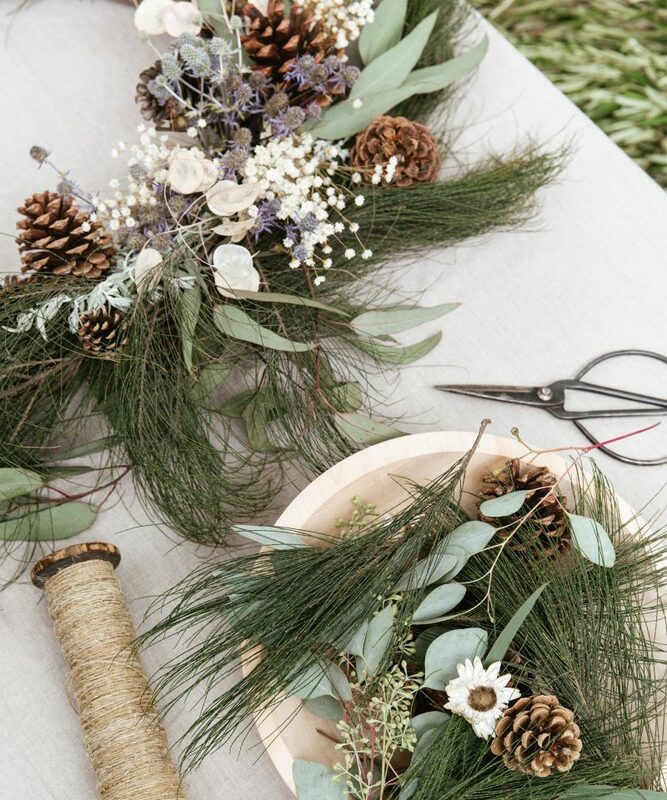 To place and tie the greens and dried florals, cut your wire into 3” pieces and bend into a hairpin shape. Once you find the placement you like, pin the greens down and twist the wire together through the back of the wreath. 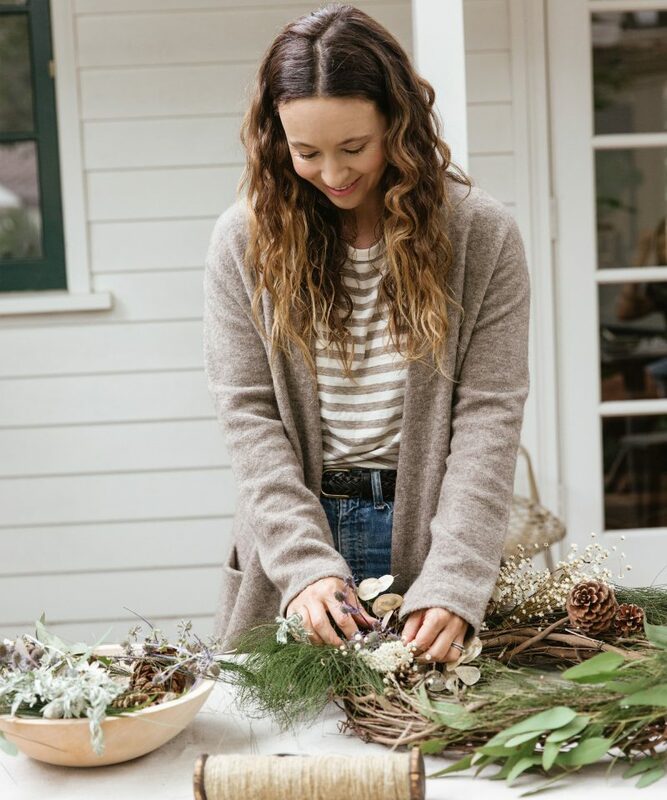 Jenni likes to create an asymmetrical look by starting with a central focal point (like the pinecones) and then have the greens go clockwise and counter-clockwise from this point. It really is subjective to everyone’s personal style, but try your hand at grouping materials together in bunches so it looks more natural—like it is growing out of the wreath rather than placed. To secure the pinecones, use a long piece of floral wire and bend in half. Twist the middle of the wire around the base of the pine cone so the wire is securely fastened and then you can secure the wire to anything with pine cone attached. Add clear floral adhesive glue to any areas where you might need it. Use extra greens to fill paces in between bundles. Hide your wire or twine with these and tuck into the branches of the wreath. Attach a ribbon or extra-long piece of twine to the top of your wreath and hang, wherever you like!